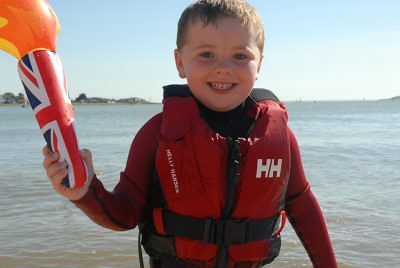 Brightlingsea Sailing Club Cadets are 9 to 18 year olds who want to try-out or have already discovered they love sailing. Many of our cadets sail for fun, other are found at the top of the junior, youth and national rankings. Cadets must either be a family member or have an individual Cadet membership. Cadet night is every Tuesday night throughout the summer, on a sunny evening there are around 65 cadets all out enjoying the sailing experience. Experienced cadet sailors are encouraged to take part in race training sessions and enter club races on Thursday evenings or at the weekends. Cadets can bring their own boats or make use of our Toppers and Topazes. The club has a number of boats available, also race-rigged Toppers for more experienced Cadets who are interested in squad training. Cadet Week – looking for something different and exciting in the summer holidays? 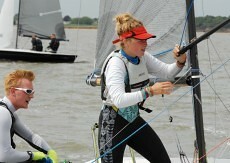 Try "Cadet Week" – 5 days of organised training and fun at Brightlingsea Sailing Club and Colne Yacht Club. The Cadet section is run by volunteers, generally parents and some of the more experienced cadets, who play their part by sailing with newcomers and those lesser experienced to help them enjoy themselves. We need all the help we can get! If you are an experienced sailor or willing to help with rigging, launching, rescue boat duties or washing down please make contact with Craig Bond who coordinates the cadet activities. Interested in joining cadets then contact Kathy on subssecretary@sailbrightlingsea.com or come down to the club on Tuesday evening.